This Moment Box contains 20 perles praliné, all individually packed. 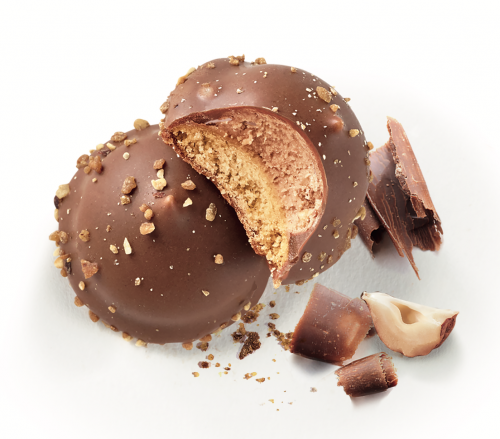 Perfect for a “à la perle” (one bite) break ! 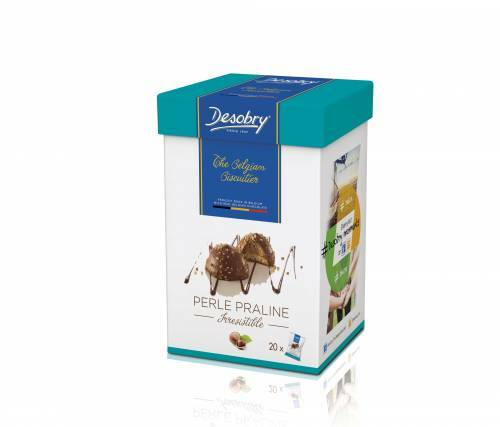 A Desobry Perle is a unique combination of a biscuit and a praline made with delicious Belgian chocolate. 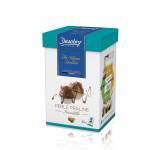 Moment Box Praliné contains 20 perles praliné, all individually packed. Milk chocolate 38,3 % (sugar, cocoa butter, whole milk powder, cocoa mass, lactose (milk), emulsifier : soya lecithin), sugar, vegetable fats (palm, copra, palm kernel), hazelnut filling 9,4 % (sugar, hazelnut paste, vegetable fats (palm kernel, palm), skimmed milk powder, fat reduced cocoa powder, emulsifier : soya lecithin, natural vanilla flavour), wheat flour, whey (milk), hazelnuts 1,6 %, caramelized hazelnuts 1,6 %, whole milk powder, coconut, fat reduced cocoa powder (emulsifier : soya lecithin), rapeseed oil, free range eggs, salt, raising agents (sodium carbonates, diphosphates), natural flavour. 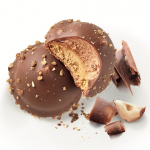 Milk chocolate : cocoa solids 31 % minimum. Low-fat cocoa powder : cocoa butter 10 %. Store in a cool, dry place.